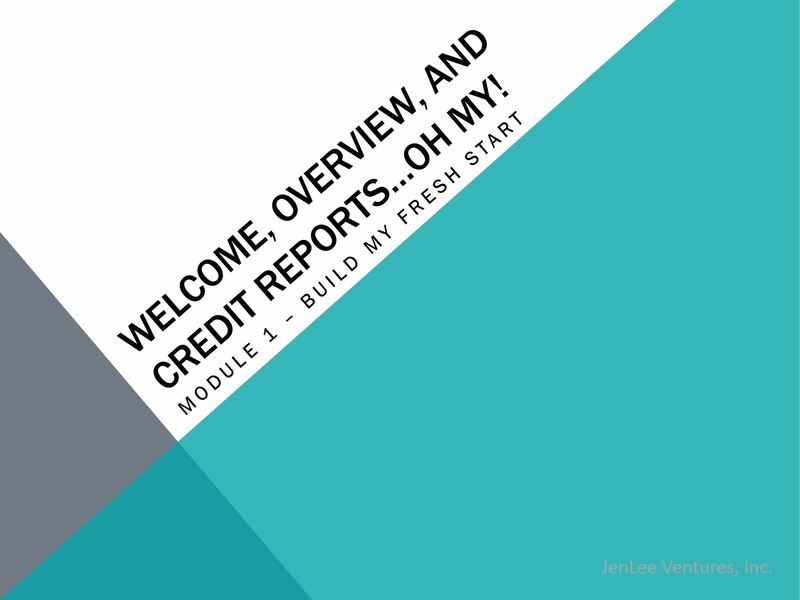 After bankruptcy or other financial disaster, this course puts all of the pieces together to guide you step-by-step through the process of building a great fresh financial start. After bankruptcy, a majority of people fail to take the right steps to take full advantage of their fresh start. Deciding to file for bankruptcy was likely a hard decision for you to make. You probably had questions about what that decision meant for your future plans, but were focused on just getting through the bankruptcy process. Now that your bankruptcy is over, what do you do to make sure that your credit score recovers and that you get yourself on track to take advantage of that fresh start? What should you be doing each month to set yourself up for success? How do you know what to do, where to go for information, and what to look for? This course is designed to be a 12-month course to improve your credit, understand the aftermath of the bankruptcy process, and provide you with a wealth of knowledge for a successful financial future. Using a monthly webinar as the main course, you will also receive a PDF checklist each month, along with a list of resources available to you for further information. These 12 Modules Outline Everything You Need for your Fresh Start! When should I pull my credit report? How do I do it? What do I look for? I pulled my credit report and I think things are wrong. What do I do now? Taxes After Bankruptcy. I got a 1099C from some of my creditors. Do I have to pay taxes on this?? What should I do to prepare for taxes in the future? How do I start rebuilding my credit and increase my credit score - Part 1? How do I finish rebuilding my credit and increase my credit score - Part 2? When can I get a mortgage or buy a house? What do I need to look out for and plan for before applying? Why won't the bank let me refinance my mortgage after bankruptcy? What are my options? What are some good tips for not falling back into the same spending habits as before? Do I need a financial advisor? What do they do? How do I pick one? What about insurance after bankruptcy? How does insurance protect me from future problems? Should I save for retirement after bankruptcy? How do I start? Can my creditors take my retirement money? When can I buy a new car? Should I lease? I received all of these finance offers in the mail after bankruptcy, are they any good? BONUS MODULE - 12 months after bankruptcy – what is my credit score now? What else should I do in the future to stay on track? This course is designed for people who have experienced a financial disaster and want to recover from it as quickly as possible. Someone who has filed bankruptcy and received a discharge of debts and now wants to focus on building good credit, possibly buying a house, and making great financial decisions. You went through bankruptcy, but have not really done anything since you filed to improve your credit score or plan for the future. You filed for bankruptcy a couple of years ago and are now thinking about buying a house, however are afraid to have your credit report run. You dug yourself out of debt without filing bankruptcy, but have no idea what to do to get back on track financially. You filed for bankruptcy and know things are wrong on your credit report, but have no idea how to go about fixing things. You are looking for freedom, want to move on after financial disaster, and want step-by-step instructions on how to do it. As soon as you purchase, you will receive your username and password to access your course area. You get immediate access to the first module, which includes a video, PDF checklist for you to download, and a list of additional resources to use during the month. Because building a fresh start is not instantaneous, the course is set up to deliver 12 modules over 12 months to give you time to fully build your financial future and to be able to check your progress as you go. All 12 modules, one delivered each month, plus a bonus module at the end to evaluate and help you decide on next steps. Each module consists of a video, PDF checklist, and additional resources. Copyright 2016. All Rights Reserved. JenLee Ventures, Inc.